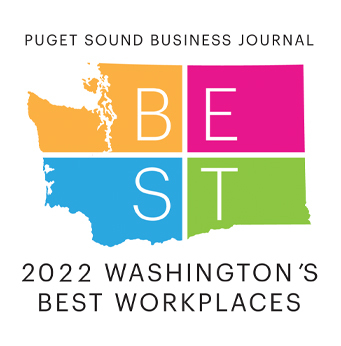 The battle for technology talent in the Pacific Northwest is fierce and, as important as it is to recruit, it is equally if not more important to retain employees. SHRM reports replacing an employee can cost anywhere between six to nine months of their annual salary1. When asking business leaders why their companies offer benefits, a common answer is to attract and retain the best employees. With healthcare reform removing pre-existing conditions and the state exchanges offering individual plans, traditional medical coverage isn’t as powerful of a benefit as it once was. How can companies reinvent ways to retain employees and incorporate those into their employee benefits strategy? In the following article, I have explained five strategies companies can utilize to attract and retain talent. An HRA is an employer-funded account that helps the employee pay for qualified healthcare expenses, similarly to an HSA. However, unlike an HSA, any funds remaining when an employee leaves a company are not portable. Additionally, there are no limitations on how much money can accrue in an HRA, making it difficult for someone to leave behind. You can be creative when deciding on eligible expenses and include things like massage therapy, prescription computer glasses, and of course other out-of-pocket healthcare expenses that are run through your medical plan. Buried next to the many reasons companies are creating wellness programs is a compelling and unintended advantage: employee retention. A successful wellness program increases employee health, productivity, and morale. Employees are less likely to consider leaving a company if they work in an environment where they feel productive, confident, and comfortable calling their workplace a healthy environment2. Employees leave toxic environments; using a wellness plan can help to facilitate a healthy atmosphere that retains employees. Wages are continuing to rise, especially in the tech industry, and on average, disability insurance benefits are not. Most companies that offer disability insurance have income replacement at 60 percent up to $5,000 per month. However, that maximum benefit only insures employees who earn $100,000 or less per year. Within the tech industry, and especially in Seattle, the average salary for a senior developer is $110,0003 and close to $200,000 for a vice president of engineering4. The average disability insurance program holds less value for these types of employees. Providing a group disability program for these highly compensated individuals can be an inexpensive way to give them a unique and valuable benefit. Tech companies are shifting away from normal business hours and giving employees the flexibility to get their work done when they choose. Some companies have gone as far as eliminating traditional vacation, sick, and holiday in favor of a full PTO policy with unlimited days off. Paid paternity leave has also been a hot topic as industry leaders such as Netflix, Google, Amazon, and others are offering generous paid time, some up to a year for new parents. Effective January 1, 2020 locally in Washington, paid family medical leave will be available, but companies are typically more generous than state mandates. All of the above benefits and strategies are great for retaining employees, but all of them require proper communication and education. Employee benefits represent on average 20-25 percent of an employee’s total compensation and with the generous contributions towards coverage by tech companies’ employees unfortunately often overlook the value. It is important to help employees understand their benefits and have a plan to take best advantage of what is offered to match their unique needs.